It’s not. If you go spend time in one of what I’ll call the “big three” East Asian countries (China, Japan, Korea), you’ll slowly understand that this calcifying tendency in these cultures is highly pathological and something people struggle with. To oversimplify, the converse is something us “Westerners” in general and North Americans in particular struggle with. Many of us who feel overwhelmed by the constant dizzying array of mental noise in the West end up leaping to the calcified traditionalism of the East as a psychological bulwark against this dizzying tide. The reality is that substituting one’s own cultural shortcomings for those of another is no path to success in one’s life and personal endeavours. I speak as someone who has made precisely this mistake, and is now coming full circle to a kind of fuller realization of what it is I’m doing and how to go about it. Elite athletes all use this method (unless they are super gifted freaks) and I’ve never met anyone who does this. Usually the teacher is just kinda going, “Ummm, today we do this.” If you’re lucky, they’ll stick with one or two things for the whole class. If unlucky, it’ll be random nonsense. Oftentimes, it’s just random permutations ranging from basics to super-complicated with no steady buildup of one technique. How many of you have consistently explored kotegaeshi in combination with GPP training for four to six weeks straight? Maybe some have. Most, I bet, have never spent more than one or two classes drilling one particular movement. Even when teachers try to impart the importance of consistent drilling, they undermine this by constantly shifting the focus of the class to new things. The best teacher I ever had in this sense at least tried to encourage us to stick to basics, but he couldn’t control himself, and would often then suddenly switch emphasis to something completely different, or use completely new training modalities or concepts that would just overwhelm us. I only made significant progress when he wasn’t around so that I could just go, “Okay, I’m going to practice these two movements several hundred times on day 1, and then these two movements several hundred times on day two and cycle this out until I hit 10000 repetitions of these movements.” It is not easy at first, but it works VERY well. You get bored. That’s the idea. You trap your mind. If there are always new techniques and movements, the mind doesn’t need to find ways to amuse itself WITHIN the movement, it is just fine skimming over the exciting surface of its new toy. Only when your mind accepts that it must do these same movements over and over will it start peering into the little crannies hidden away within the movement to understand it better. Once this starts happening then the skill level gets really cranked up. This is relevant not only with specific skills but in GPP as well. Let’s be honest, most people who end up in classical martial arts are not usually high-level athletes. Some are, but most of us are the intellectual types, or kind of new age types or were bullied or something by the jocks in school. I’m generalizing, but I think you’ll accept that at worst it’s a fertile fallacy. No wonder we have trouble doing these fancy movements properly and understanding “Ki/Qi” well. Our bodies come conditioned to sitting at desks all day and lost their proprioceptive bounce. Ukemi is GREAT for this, but sometimes it is not sufficient. Why not get people exploring different things like crawling, rolling in different ways, climbing trees, doing all sorts of different movement to prepare their body for the specifics of training? This too, ought to be done in cycles to squeeze out the lesson from each type of movement and hardwire it into the system. I think the answer why this doesn’t happen often enough is all too obvious and it relates to martial arts as a commercial endeavor. I don’t want to step on anyone’s toes who relies on this for their income, you’ve got to make bread, I get it. But I think being a true martial artist requires the courage to accept the possibilities of short term losses to pursue the long term gains that would come with being reputed as someone who produces true excellence. You want to know what this looks like, look at Vladimir and his school. Systema is exploding precisely because they use pretty sound training principles and people just kinda get better in a way that I don’t think happens so much with the culture of other approaches. Why did you start teaching martial arts? Are you producing excellence or merely staying within the safe confines of mediocrity? It is amazingly easy to improve consistently. Actually my experience of late is that keeping on doing things wrong is much more tiring and difficult than just asking, “Hey, what could make this better?” and then having the courage to make mistakes, keep researching and improve. 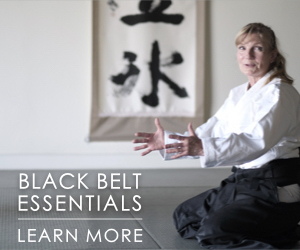 You don’t have to throw out the katas. You don’t have to start throwing out your back doing good mornings like Bruce Lee. You don’t have to start sparring and doing all sorts of complicated calisthenics. All it takes is an understanding of basic principles of how the body-mind learns and adapts and then using the tools of one’s tradition in combination with some more generalized fitness methods (I’m currently experimenting with kettlebells) and working from there. 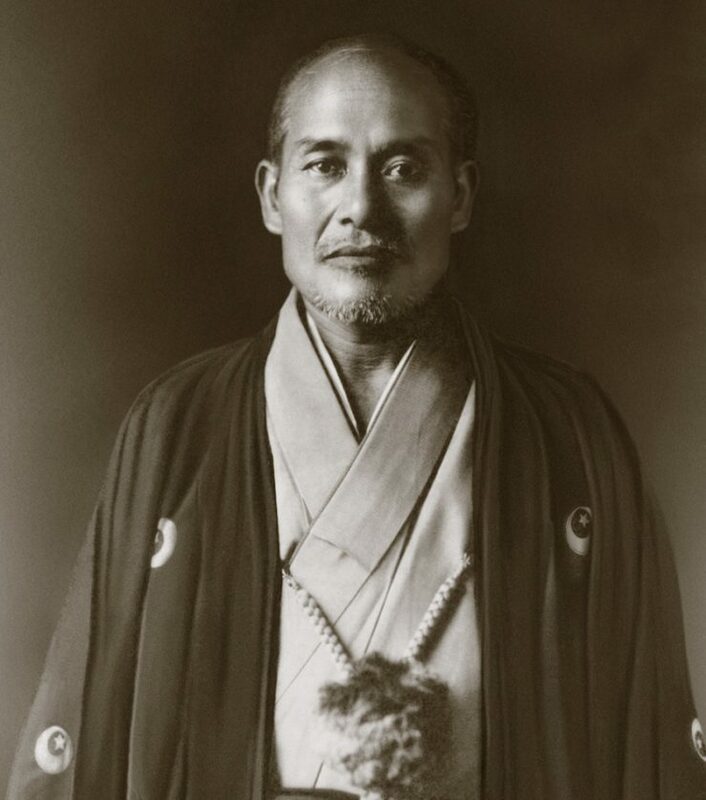 Don’t make the stupid mistake of looking at your old teacher (or Ueshiba) and thinking “Oh, that is what I have to do forever, exactly what they did when they were old!” Experiment! Explore! Innovate! Ueshiba did this, why can’t you? The man had a powerful physique in his youth. He wasn’t born doing this quasi-no-touch stuff. He went through a whole process to that eventual end. You must do the same. Be traditional, but be smart, use your traditional curriculum as a tool, and use that tool in accordance with what we know to work well when learning skills. Read up on neuroplasticity and various ways of working the memory and nerve growth and body maps and all the wonderful research out there. It beats the pants off this fuzzy mysticism we often get trapped into because we’re afraid of being limited by the state of current scientific knowledge (and I’m guilty of this as much as the next guy.) Yes, science can’t explain everything. Yes, if you stick to a scientistic point of view, which is inherently limited by the state of progress and the limits of specialization, you will become just as calcified as you would by sticking to the mystical traditionalist approach. But scientific research combined with personal experience can be a springboard of immense value that can launch you into a realm of understanding well beyond the limits of mystical dogma AND scientific rigidity. All it takes is a bit of courage, common sense and a desire to be the best you can be. Other than that, a couple of good friends with a similar perspective don’t hurt, and a willingness to teach a few people for free so you can experiment with them free of the pressures of being expected to produce self-satisfaction in your students. Anyway, just some thoughts I wanted to share. I’ve been doing this since I was a wee one and been at it seriously for going on eight years now. I am coming to the conclusion that mine should be the greatest generation of martial artists this world has ever seen. 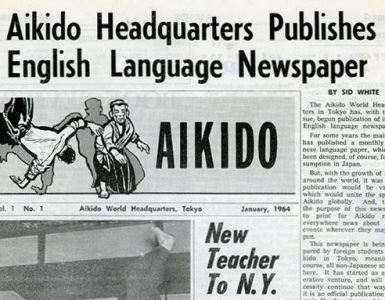 We’ve got Youtube and endless access to research and writing and collaboration and yet I hear people always pine for the old days as if you had to grow up in WWII Japan to ever be any good. Maybe there were things about that time that helped some unique individuals attain mastery, but there were constraints too. We exist in a time with huge potential for learning and yet owing to confusion and lack of attention this seems to breed complacency in training. We can only be as good as each other. I can only progress so fast if my training partners are getting better with me. 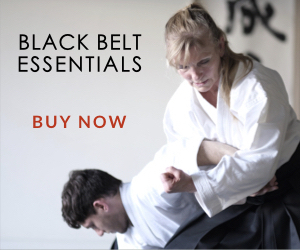 As martial artists we thrive or stagnate as a community, whatever your style and philosophy, this fact cannot be escaped. There is no need to train yourself into exhaustion for hours a day but there is a need to be intelligent and use the tools you have at your disposal more wisely than has ever been done before. Thanks for posting. It reminded me of an occasion in which one of my Isshinryu Karate classmate, Yon Dan, asked me if it is OK for him to practice Aiki Jujitsu, I told him he needs to choose either Isshinryu or Aiki Jujitsu as his main style and other as a supplement since after his gets the black belt level in AikiJujitsu he will start learning the fine point of the techniques and he will not be good at either styles. He took my suggestions by making Isshinryu as his primary style and supplemented it with his AikiJujitsu. Later he told me his Aikijujitsu instructor told him that his jujitsu techniques were powerful and effective although not the way he expected. His Aikijujitsu classmates told him that his throws were poweful and painful. They lost balance before they were thrown. Innovation came from the deep understanding of your arts. Excellent article! “learning” as the basis for progress, needs experimentation, exploration, innovation. The mentality of “style confinement” should be obsolete – except for historical reasons where preserving heritage is a must. This is a subject very dear to me, as I am quite passionate about evolution (in this case of skill). Would love to stay in touch and discuss methodology in regard to an innovative approach in learning. 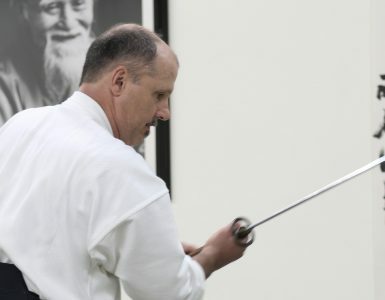 I really like this article, especially your comment about training a specific skill to the point of diminishing returns – very few martial arts instructors seem to have even heard of this. 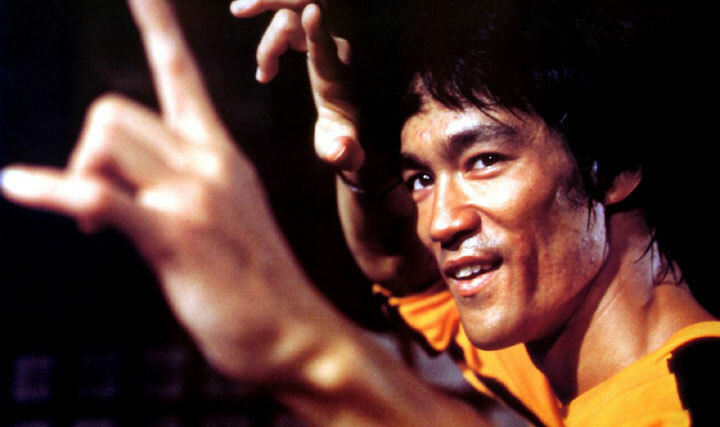 One thing I’d like to quibble about, though, is your final remark about Bruce Lee. I’m no Lee-worshiper, but from your article it seems to imply that he died as a result of his dangerous training. I’m sure you know this but it was a cerebral edema – a reaction to an over-the-counter analgesic, not any supposed dangerous training methods. A very insightful article. If I may, I’d like to extend the metaphor. As a former trained professional dancer in my youth, and a musician, it has been my goal to apply training methods along very similar lines to my martial arts instruction, very much as you’ve described. Yes, as a dancer, we’d begin every lesson, training session, exactly like the previous ones we’d been doing for years. Of course, every teacher may have a little flair which may vary according to their own personal taste or background, but the basics were always there. Especially what is commonly referred to as “Barre Work” or the warm-up part of the class. It was the drill. It was the place where you had the time to train the fine points of the body’s moments and correct them before one was permitted to venture out on the floor where neither time nor the level of difficulty of the combinations permitted much fine tuning. One had to “fine tune” during the drill. Yes, it’s boring! One really wants to get out on the floor and let loose! But, as in martial art, you’re just fooling yourself by throwing away technique in favor of your youthful enthusiasm! As to the concept of “boring”, I’d like to add this note. It’s only as boring as you make it yourself! When you finally do discover the artist in yourself, nothing is boring! This takes time, courage and dedication, and just plain old tenacity! Once it becomes a daily routine, you hardly notice it! You train as you breathe. Musicians also study in similar manner, only theirs is the micro as compared to the macro movements of a dancer or martial artist. Tiny movements with their fingers over the keyboard or strings or the valves. You want to be able to play THAT note, you’d better practice! I recently posted an article on my FB page called “The Discipline”! It’s the same with any art. 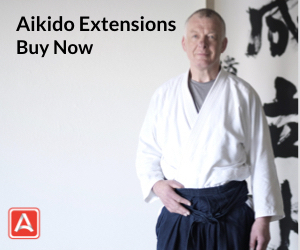 When I began Aikido, I was fortunate enough to have started with a style that focused on the same repetitive mode of training each time. It did two things for the beginner. It helped the beginner to relax, because the modalities were already familiar and it afforded the student time to correct and develop the technique. Today when I teach, I always begin my lesson with the same few movements to help the students “get into the groove”, so to speak. Then, we can go on to new and diverse things with which to challenge ourselves. I’m sad to say, I don’t have as many students as I could hope for, but, on the other hand, the ones I do have can stand on their own. Quality above quantity. I too hope more teachers will adopt a teaching method similar to this for the benefit of the future of their art. I’m sure many already do. There’s a saying in Zen philosophy: “Enter by form, exit from form.” It sounds to me like you’re making the same point – that we should learn the forms, understand them, internalize them, then move beyond them. Thanks for a very important article. I may have missed it but I did not notice a mention that O’sensei and Saito sensei included (the trinity) tai no henko, morote tori kokyu ho and kokyu dosa in every class. Apparently they saw value in highly repetitive practice in these movements. Some time ago it became obvious to me that teaching a technique one or twice a year is a serious waste of time for all but rather advanced students and questionable even then. In our classes we tend to work many days on the same fundamental movements or kihon waza until some level of competency is reached. We have been doing this for at least five years and emphasizing this approach more and more. I continue to be very happy with the results. More and more I believe that a very solid foundation in the basics is the fastest way to real progress. Fortunately, my students have learned to put up with this approach and see real value in it as well. 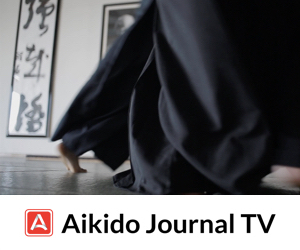 Daily, I practice about ten of the aiki taiso handed down through K. Tohei sensei and “breathing exercises”. I follow this with about 30 minutes of solo practice based on 5th kyu test techniques and a few more. This works for me now. Decades ago, I would not have had the tools to make this approach pay a reasonable return. It would have been much like doing the same thing over and over and expecting different results. I think in our training we must not to think in excess. we must feel. As a surgeon since 1994 and Aikido practioner since 2003(felling like a baby yet!!!) I try to get more relaxed both in training and in the operating room. the idea is the triad STUDY-TEACH-PRACTICE. So, it´s more to come and we are apprentice in our individual skill curves. learn with our Professors and try to connect more as possible our Mind and heart. I disagree with most of this. If you train with a limited number of people you have to change each session so it feels like you are training with a lot of different people. 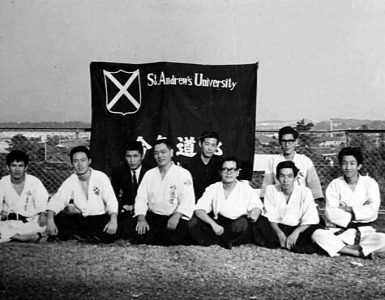 Right after the Ayabe dojo opened O’Sensei had 500 students. If you don’t somehow train with lots of different people, effectively or actively, your art will diminish. However, every move you make while training should reinforce basics (footwork, angle, distance, hand maneuvers…) if it doesn’t it is a waste of your time. Different styles have different principles separate from some of their warm up routines so they may not be compatible and their mechanics can in fact cancel each other out rather than balance each other out. For example mixing a high center of gravity art with a low center of gravity art or a narrow based art with a wide based art does not seem a good idea.